Foreign Driller Fever is upon us! One of Lambton County's most interesting chapters will be coming to life at the Oil Museum of Canada at the end of the month. Author Gary May (who wrote one of the definitive works on foreign drillers, Hard Oiler) is launching his newest book, The Scent of Oil. He chose the Oil Museum of Canada as the location for his book launch, which will occur from 2:00 to 4:00pm on Friday, September 30. The Oil Museum of Canada is proud to sponsor the event with Gary May and is working in conjunction with Culture Days, a celebration of Arts and Culture from coast to coast. 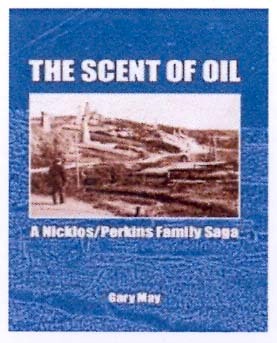 Gary May noted about his new book, "The Scent of Oil is the true-life adventure of how two Petrolia families joined the trek of the Foreign Drillers to Galacia." 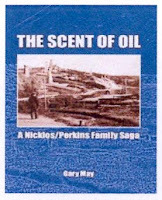 At the book launch, you will have the opportunity to meet members of the Perkins and Nicklos families whose ancestors played such an interesting role in oil history. Who knows, you may even meet a foreign driller, or his wife! (portrayed by members of the Petrolia Community Theatre). The afternoon will also feature a Q&A session and light refreshments. Enjoy the experience free of charge. 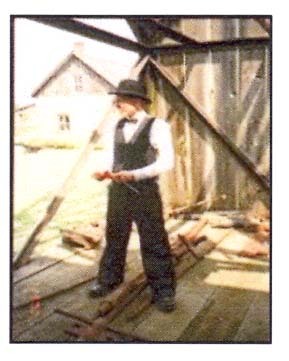 That evening, make sure you have acquired a special passport to see the Petrolia Community Theatre re-enact true stories about Canada's Foreign Drillers. The performance will take place on museum grounds, with a special appearance by "Sisters by Choice" for your musical entertainment. The event goes on rain or shine! The special passports are available by advance purchase only at a cost of $10.00. So what's the big deal about Foreign Drillers? Well, from 1874 to the 1930s men who had worked and trained in the oil fields of Lambton County traveled the globe to practice their trade. Many of the skills and techniques they had honed in Lambton County were exported to other countries around the world, including but not limited to Germany, Borneo, Venezuela and Egypt. To hear some of their stories, visit the Oil Museum of Canada's website and browse Black Gold: Canada's Oil Heritage.